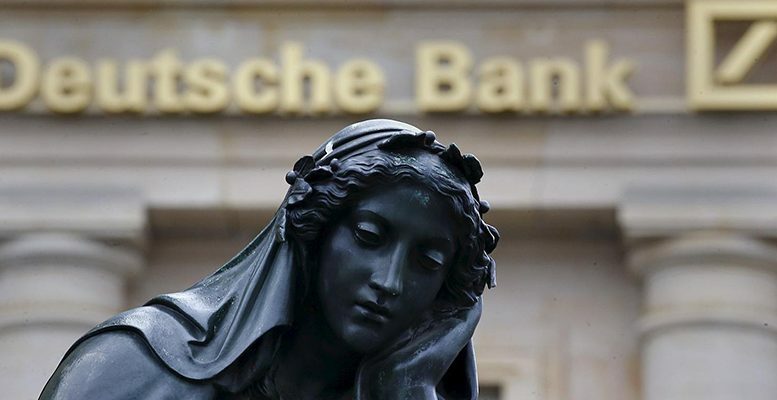 Deutsche Bank (DB)’s current share price (-41.2% in the year so far) is probably already discounting the stock’s serious uncertainties and weaknesses. But at the same time, there seems to be increasingly less negative sentiment towards banks in the EMU. For Bankinter analysts, part of this possible improved perception is due to speculation over future corporate moves to generate more economies of scale in the area of costs. In this way, the banks aim to counter the squeeze on their net interest margins against a backdrop of zero or negative rates and strong competitive pressures. At the moment, DB is trading at a P/B of 0.30x vs approx. 0.63x for the sector average and a PER’17e of 8.4x and a PER’18e of 5.5x. “These are really low levels,” say the experts. Furthermore, the figures for this year (2016) are not representative given that any profits, if they exist, will be only testimonial due to the internal restructuring being carried out by recently appointed CEO J. Cryan. It was precisely his comments a few days ago which have generated expectations of sector consolidation. Cryan talked about the need for a viable European banking strategy in economic terms, called for less regulatory pressure and also alluded to a consolidation process which is still not over. On the one hand, this fuelled speculation that DB could embark on some kind of corporate move (perhaps with Commerzbank). And on the other, that the share prices of those banks which have been worst hit,(like DB), already reflect the worst possible scenario. “We believe that DB’s profits could increase from 0 million euros/623 million this year to around 2 billion euros/2.2 billion in 2017, with this figure improving progressively over 2018/2019. Although its ROE will remain very low over the coming quarters and the quality of its earnings questionable, it seems unlikely that it will have to face additional “impairments” or contingencies not yet covered by an amount equivalent to 70% of shareholder funds (approximately 67.6 billion euros)…which is what would justify the bank continuing to trade at just 0.30 P/B,” Bankinter analysts explain. In light of the fact that there is less damaging view of DB (the stock price has risen 14% since August 1), and for tactical reasons, the analysts have raised their recommendation from Sell to Neutral. But they have not forecast a trustworthy target price, given the uncertainties which still exist.